The Education Discount Scheme is available for all UK educational establishments such as schools, colleges, universities and school choirs or orchestras. 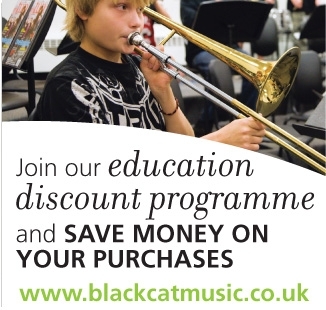 Sign up now and enjoy a 5% discount on all standard purchases of Black Cat Music products *. Sample products available for evaluation. Professional support by phone or appointment. * Excludes special offers, installation, POA items, VAT and delivery.